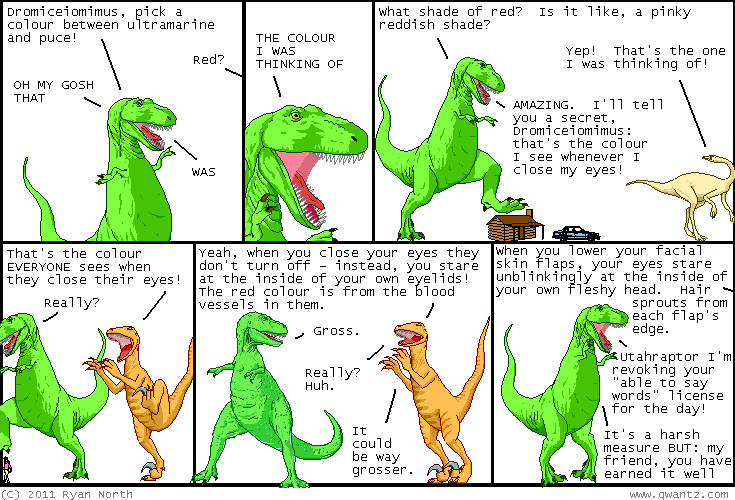 Dinosaur Comics - July 5th, 2011 - awesome fun times! One year ago today: i think "ha ha, etc." is a great punchline indicator that goes woefully underused, ha ha, etc.